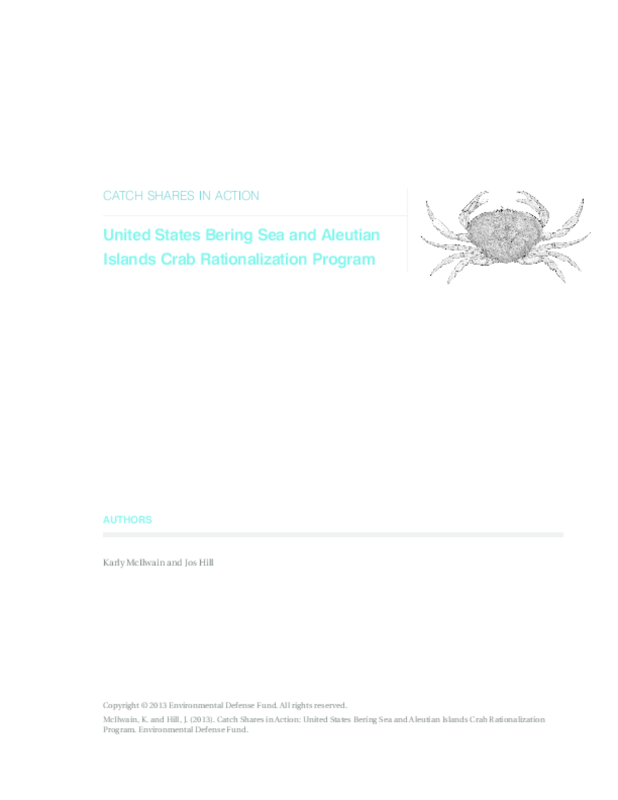 The Bering Sea and Aleutian Islands (BSAI) Crab Rationalization Program (the Rationalization Program) was designed to improve resource conservation, operating efficiency and fishermen's safety while maintaining participation by remote communities. A number of important features account for the diverse natures of stakeholders and the fishery's historical importance to many communities. These include: a unique three-pie approach that defines and assigns different types of privileges to vessel owners, crew and processors; an industry-funded, government-operated loan program to assist new entrants and crew; and voluntary Cooperatives that assist in program administration and fishing coordination.